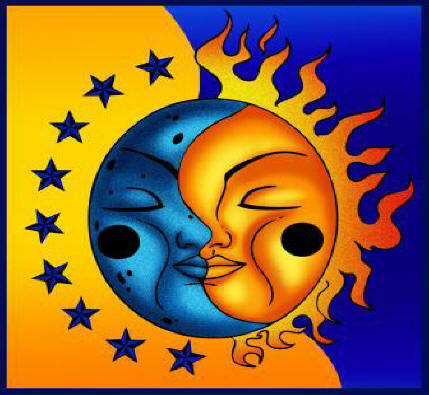 Although, commonly the solar aspect is thought to be Male and the Lunar aspect is thought to be Female, in respect to the true polarized nature of each, Solar Goddesses and Lunar Gods can be found throughout many cultures. Every culture has at one time held the Sun personified as a Deity of supreme and immense power. Each carries different names, but the central theme running through all is that of bearing the Light each day that was required for survival. How the Sun moved across the sky was often part of the mystical nature of the Supreme Deity, and just as the Sun rose at dawn, reached it’s peak at noon and began its decline as night fell, so did the persona of the Deity change to replicate those changes. This was particularly evident in Ancient Egypt. In the Ancient Egyptian cycle of the sun, RA is the supreme Deity associated with the Sun. The solar cycle of RA began as the Sun rose at Dawn and was known as Khepra-RA- the dung beetle. Each morning, having spent the night in the Underworld, Khepra was reborn and mounted the Solar Barque to commenced the crossing of the Sun across the sky as daily routine dictated. At noon, Khepra-RA transforms into Amun –RA, the Deity now in his full power and glory. The world alight and ablaze with his brilliance. And, finally at Dusk, RA assumes the persona of Atum-RA. 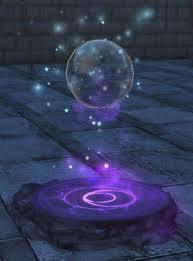 He is now the ancient of ancient carrying the wisdom of all Life within his body. Each evening the weakening sun would enter the Underworld and face multiple challenges as he battled towards rebirth and restoration the following day- reborn again as Khepra. And, thus the cycle began again. Another key component to this daily solar rite was the necessity for this cycle to continue as this was also the task of RA to collect the deceased King of Egypt as he made his transition through the underworld at the time of his death. If the King successfully met each of the challenges presented him throughout the hours of night, he was carried across the sky withRA that next morning, resurrected as a Deity himself. The concept of a Solar Barque, the sun as traversing the sky in a boat, is found in the later myths of ancient Egypt, with Ra and Horus. Earlier Egyptian myths imply that the sun is within the lioness, Sekhmet, at night and can be seen reflected in her eyes or that it is within the cow, Hathor during the night, being reborn each morning as her son (the bull). Proto-Indo-European religion has a solar chariot and the mythos of the sun traversing the sky in a chariot. 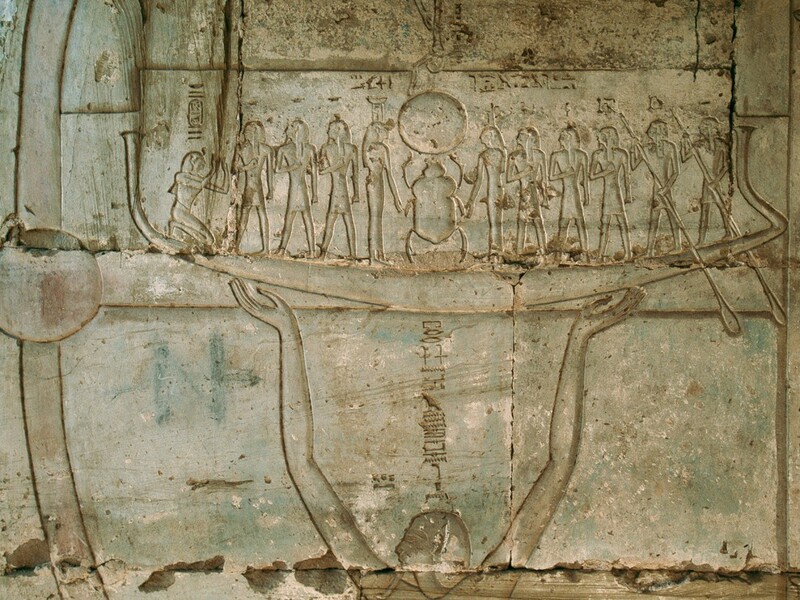 The importance of solar worship came to its peak in the City of On or Heliopolis, (Greek: “City of the Sun” or “City of Helios”) which was one of the oldest cities of ancient Egypt. It was located in the apex of the Nile Delta, and was the capital of the 13th Lower Egyptian nome. In Greek mythology the sun was personified as a deity called Helios (Roman equivalent: Sol), driving a fiery chariot across the sky. His chariot was drawn by winged horses. HIs home was a golden palace at the eastern ends of the earth in the River Okeanos. At dawn he emerged from the East guiding his steeds across the sky and at sunset he descended into the West. Carried within a Golden Cup he moved through the Northern streams and was brought back to his palace in the East. The cycle began anew each day. The Solar Deities of the Celts and the Norse fill the Myths and stories that form the basis of many of the Wiccan Sabbats of the Great Wheel. 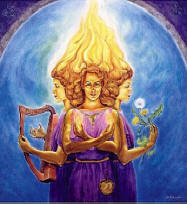 Within our coven, Brighid of the Triple Flame is the Goddess invoked at Imbolc. Lugh is the God that is invoked at Lughnasaad. Both deities offer the energy of transformation, healing and forging a way of newness and clarity by flame and brilliance of solar light. And in Norse Mythos, the Solar God Freyr is the god of sun and rain, and the patron of bountiful harvests, sexual and ecological fertility and general health and abundance. Here we see the Solar cycle expressed as the products of alliance with the energies of the Sun and its life-giving properties. Abundance in crops, health and fertility of physical form and control over the rains that feed what the sun enlivens are key points. Virtually every culture has at some time included Deities that were likened to the energies of the Moon. Around these deities grew many tales of their gifts and either benevolence or rage. Although the most widely known are female, many had male deities. In Egypt, Khonsu, son of Amun and Mut was god of lunar energies and time. His name means “traveller” and he is associated with the God, Toth as also being a marker of time. In Hindu mythology Chandra rode his chariot (the Moon) across the night sky drawn by 10 horses. He was also the God of vegetation, which makes sense in terms of the seasonal cycles of planting and the moon tides of agriculture. Chandra is also considered the lunar polarity opposite Surya (the solar) in kundalini yoga. “Selene /Luna. These are the names of the Moon Goddess in Greek and Roman mythology respectively. In the myths associated with these goddesses, the goddess is paired with the god of the sun. He travels throughout the day and she takes over the journey at night. She is typically considered to be a passionate goddess who takes many lovers and who represents the desire associated with the moon. The Mayan people have several stories about different moon goddesses. One goddess frequently associated with the moon is Ixchel who is associated with the moon because she is a fertility goddess. However, it is believed that she may actually be the “grandmother of the moon” and represent aging and the drying up of fertility in old age so she is most commonly linked with the waxing of the moon and not the moon at all times.” An aspect of her fertility is attributed to her role as Mother to four sons born to a Sun God. Each of the sons corresponds to the four cardinal directions; holding up the heavens a pillar for each. This entry was posted in YAD-Lesson Nine, Year and A Day Course. Bookmark the permalink.